Jen Lancaster! Along with Augusten Burroughs & David Sedaris, Jen Lancaster is one of my favorite authors. Lancaster takes her everyday life and whips it into gut busting stories that I love and can totally relate to. This story finds Lancaster trying to get off the couch and away from The Real Life, Rock of Love, Dancing With The Stars and the other reality programming out there and actually into putting more experience in to living her own life. If you love reality television, theater, self-improvement, expanding your horizons and/or laughing you should read this book. I get 99% of my books from the library, since I read so many. Lancaster is one of the few authors I actually buy for myself. I always enjoy books with a familiar theme, but with a different perspective than my own. The title of this young adult book examines the the "friending" people on that comes with todays technology like FaceBook, My Space, etc. I can relate because when I was young friend was not a verb either. It was a person, not something you do. 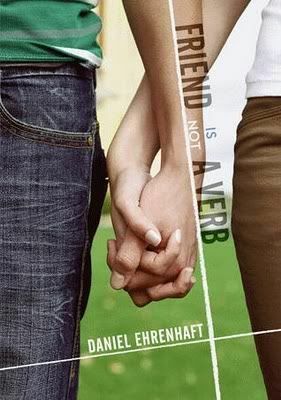 Daniel Ehrenhaft tells the story from the perspective of Hen, a teenage boy try to make sense of his own confusing life while his family and friends keep throwing him curveballs. Set in New York the story is warm and charming. I've previously read and reviewed this author's book Dirty Laundry here. I'd pick this one up. Girls Who Like Boys Who Like Boys is one of the books that I picked up after I found out that contributor Stacey Ballis is real life best friends with Jen Lancaster. 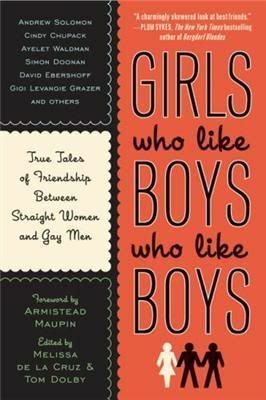 Different authors comment on the relationship between straight women and the gay men who are big parts of their lives. I enjoy collections like this as a way to find new authors who I want to read more of and eliminate some who I don't. I really liked this book and it's compassionate take on what society is still asking questions about today. I'd pick this one up, it's worth it! 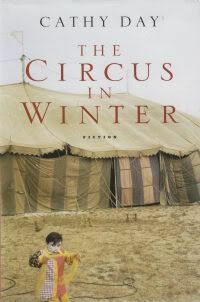 The Circus in Winter is an anthology of interconnected short stories by Cathy Day. Spanning three generations of circus people as they make their winter home in Indiana. Some of this is based on stories of the author's real family and life experiences growing up in Indiana with circus folk letting their stories do the talking and weaving one story gracefully into the other. 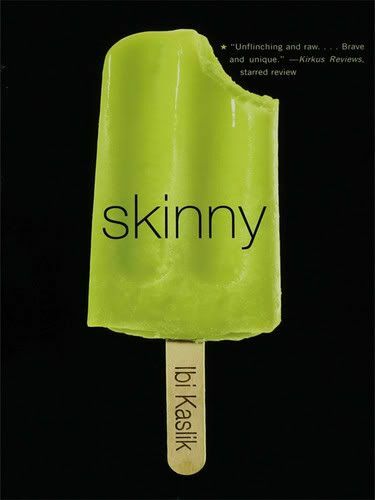 This isn't feel good fluff like chick lit style summer reads, but totally worth checking out. 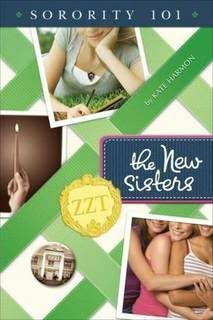 The first two books of the Sorority 101 YA series, The New Sisters and Zeta or Omega, by Kate Harmon are fun YA appropriate read. Harmon who is a real life sorority girl knows how these things work and made the process fun for me to read about since I didn't have that type of college experience. I don't know that I will pick up the next in the series when it comes out, unless I'm out of things to read or I just happen to see it, but these are good young adult fiction for any age. When I found out that Stacey Ballis was Jen Lancaster's real life BFF and fellow author, I had to check out all of her books. I read Inappropriate Men when it came out in 2004 and loved it. Room For Improvement is a chick lit story with enough behind it to keep if fun and interesting. Set in Chicago, it makes me long for time in what I believe what may be the best city. I've never been to LA or New York, but believe Lancaster & Ballis when they suggest Chicago is the best of them. Small enough, and real enough to be a blast. 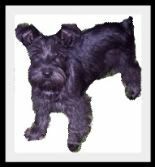 If your a Jen Lancaster fanatic like I am, check this one out. 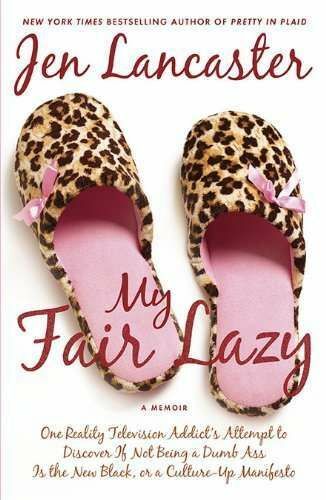 I have read Jen's latest My Fair Lazy and will be reviewing that book on this site soon. 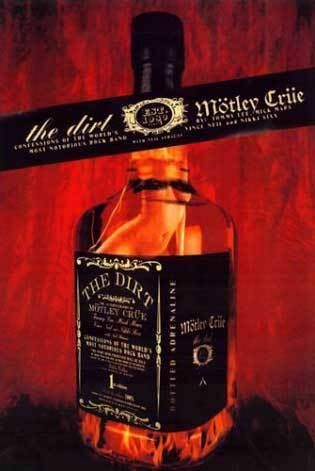 The Dirt, by Motley Crue is exactly that, dirt. Good, juicy, over-the-top dirt. A must for Crue fans, of which I am not one. This book gave enough of a back ground of the players in the story to keep it auto-biographical enough for me while still skeeving me out with many of the details. Vince Neil, Tommy Lee, Nikki Sixx and Mick Mars each tell their side of the story, making for interesting different views on various topics. Like the Jack Daniels cover styled cover shot, I'll let you decide if you want to pick this one up. 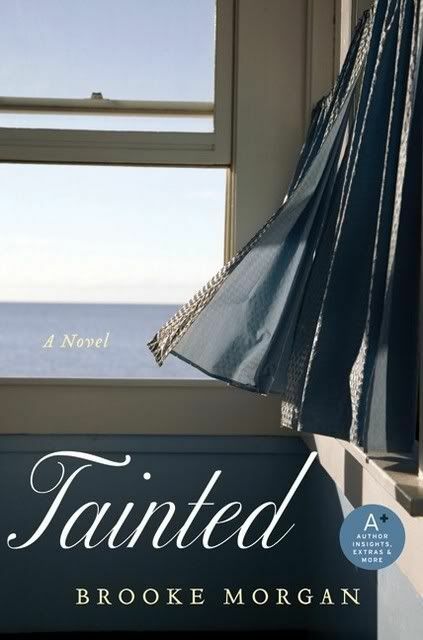 Purchased by Jennifer Aniston's production company in 2008 as a future vehicle for her, this book tells the story of women with questionable characters finally getting what they wish for. The phrase "be careful what you wish for" is taken to it's logical and funny end. 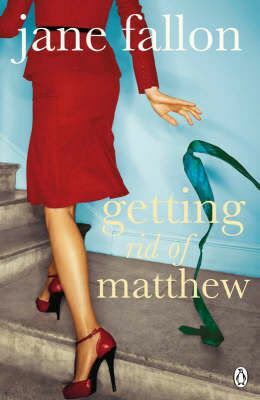 Set in London, this chick lit romp is perfect for curling up on a picnic blanket with. 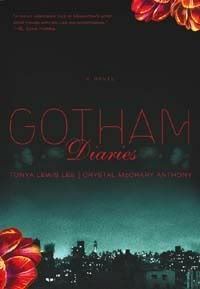 This book about Manhattan's most elite socialites, those who want to be socialites and those who are trying to hold on to socialite status is told from by totally African American characters. The wife of Spike Lee and her best friend know certainly know of which they speak. The money grubbers, the wanna be's, the users and those who are already there mix it up in the fun read that offers us a different perspective on the usual New York story. 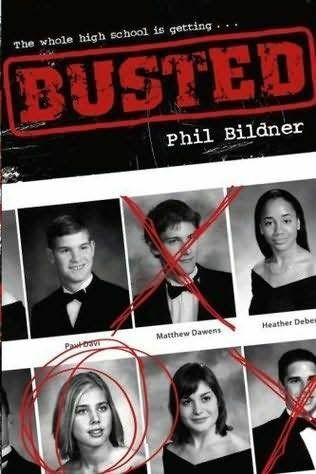 I'd grab this one for summer reading. 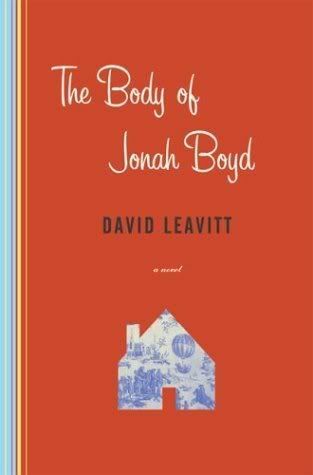 The Body of Jonah Boyd is a fiction book that's a little bit different than what I'm used to reading. A boy who's troubles begin and end at home, Ben's life gets wrapped up in that of his unorthodox family and their friends and hangers-on. His professor father's secretary, Denny not only becomes part of their life, but is having an affair with said professor. There are no clear lines between who's good and who's bad, but are there really clear lines in real life? Family Affair is the second book I've read Caprice Crane, daughter of Gilligan's Island star Tina Louise. I also read and enjoyed her book Stupid & Contagious, though it doesn't look like I reviewed it for this site. 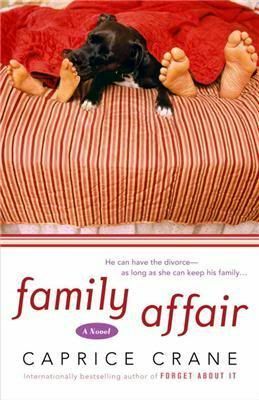 In Family Affair, Layla finally gets the family she never had when she marries her high school sweetheart, Brett and gets his family too. But, if Layla and Brett divorce, not only is she losing her husband, but also the rest of the people she see's as her only family. Things work out well in the end, but not wrapped up in a neat bow in a way that makes me pull my hair out. Perfect summer beach read. 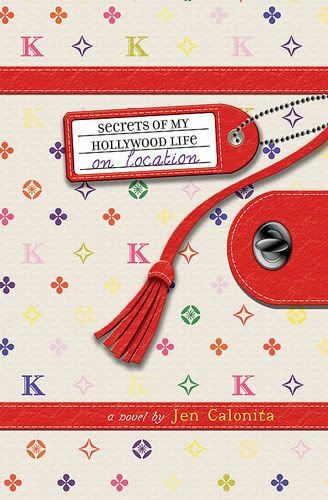 The second in Calonita's Hollywood Life YA series this is a fun follow up. Television star Kaitlin Burke has her new boyfriend & her dream movie role, but can she keep her leading man ex and her viper female costar from ruining everything? While it's somewhat predictable for me as an adult, I think any tween or teen would love this series. Especially if they're sick of vampires! This is the first book I have read under the Harlequin Teen label and I was really pleased with it. 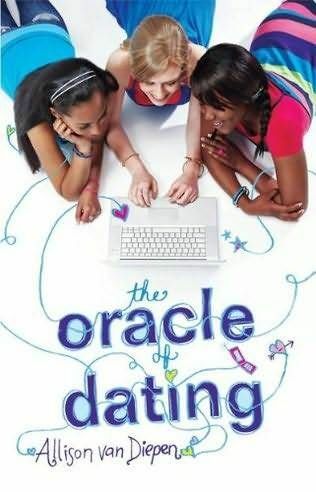 Kayla and her friends try to navigate boys & life with an internet love help line thrown in for fun. My only complaint is that Kayla's circle of friends look pointedly like a Benneton ad, with an Indian girl, an African American girl, & a possibly gay boy thrown in the mix. Van Diepen tackles high school in a realistic way and a responsible for your tweens & teens to read. While the girls drink it's not to excess and the message behind the book is for young girls to remain true to yourselves and not get swept away by boys, lust & jealousy. I'll be looking for the second in this series that comes out in November. Well I have to say this book totally kept me guessing. What seems on the surface to be a chick-lit romp is actually a murdery mystery, suspense type novel disguised as chick-lit. The smart characters kept me reading even when things seemed to go completely off the rails of reality. I wouldn't warn away from this unless what you're looking for is fun summer fluff. This YA book had no redeeming values that I could find. I try not to stop reading a book once I've started it hoping for something good to come out of it, but I was dissapointed this time. Dark, over-melodramatic and just plain ugly are the only things I can say about this. This YA tale of high school life weaves 4 stories into one. This slice of life story leaves no group untouched. I have to tell you that I remeber nothing else about this. I guess that's the most honest review I can give, lol!